Homes for sale in Black Rock Ridge, a neighborhood located in Park City, UT, are listed below and updated daily from the Park City MLS. 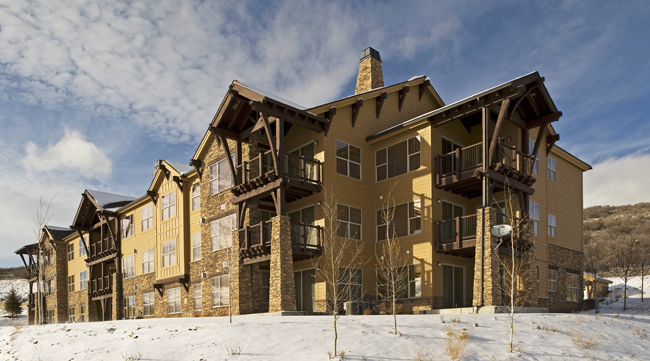 Black Rock Ridge is a new community of luxury condominiums and Townhomes located only 7 minutes from Park City Mountain and Park City's Historic Main Street. Black Rock Ridge is located in the western portion of the Jordanelle area, just 1 mile from Park City limits. For more information on any of these Black Rock Ridge real estate listings, simply click the "Request More Information" button when viewing the details of a property. I can provide you with disclosures, past sales history, dates and prices of homes and condos recently sold nearby, and more. And, for your convenience, register for a free account to automatically receive email listing alerts whenever new homes or condos for sale in Black Rock Ridge hit the market that match your specific search criteria.